For most software companies, lead generation is the key to keep the business alive. Challenges such as strong competition and the constant and rapid change in technology must be overcome in order to compete in the market and eventually have long term clients. Software leads are no doubt hard to find. Many factor such as CHAMP; CHallenges, Authority, Money and Prioritization need to be considered when looking for software leads. It is important for every marketer to leverage their techniques on how to look for possible prospects and nurture them for a possible partnership. And for many, multi-channel lead generation approach is still the way to go. Check out these tips to maximize your software marketing experience and acquire a good set of quality B2B software leads. When it comes to email marketing, having a targeted email list is a huge help to achieve higher return of investment (ROI). Emails can be personalized depending on the need of your prospects. And many marketers use targeted email marketing to send relevant information to entice interest and influence prospects to make a decision to buy. According to Mailmunch, based on an email marketing survey from Econsultancy, 55% of email respondents get more than 10% of their sales from email. How targeted email marketing works? Follow up prospects with positive responses, who opened the emails, and those with no replies should be your least priority. Cold calling is considered the most challenging part when it comes to generating B2B leads. 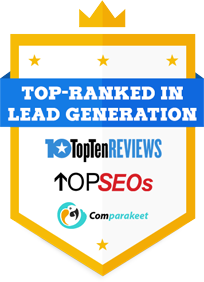 Most companies nowadays utilize lead generation company to provide them with quality leads. Steps on how to use telemarketing to help increase your software leads? Prospecting. The first stage in your sales cycle. This is the part where you look for new prospects for your products and services. Nurturing. This is where you follow up and nurture prospects who express interest in your product or service but are not yet ready to purchase. Re-engage with warm prospects who have gone cold. Closing the deal. The last stage of your sales cycle. These prospects are sales ready leads. Use tools to track and manage your leads. Software leads are difficult to handle. Not all interested prospects would consider purchasing your product upon talking to them. So it is important to keep track, nurture and manage your leads. Knowing when they are right now in their sales process will help you know how to handle and what to offer in every stage of their sales process. Here’s how to track and manage your leads the right way! Read more.. This is another thing to consider in B2B lead generation. Many prospects use the internet when looking for some information before they would choose when and where to buy what they’re looking for. Creating quality content is effective because you are providing your audience relevant information that would help them decide to consider your company. Knowing the different ways to reach out to your prospects is important and knowing where they are. So follow these tips and utilize every possible way to connect with your prospects because these are essential in generating more software leads for your company. Check out more interesting lead generation success stories!